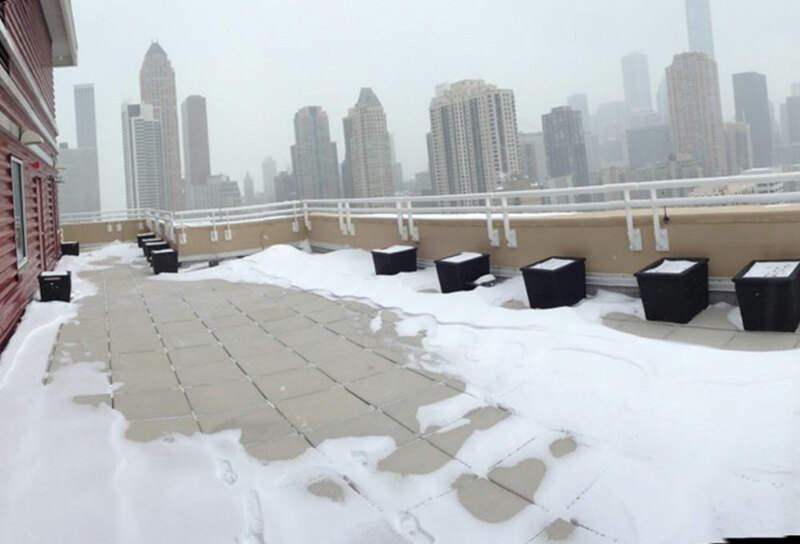 Our team worked closely with the property management team to develop this formerly outdated and unused rooftop space into a relaxing urban retreat. Project goals focused on renovating the “lost” space into a communal place for residents to socialize, grill, entertain, and simply catch some rays. 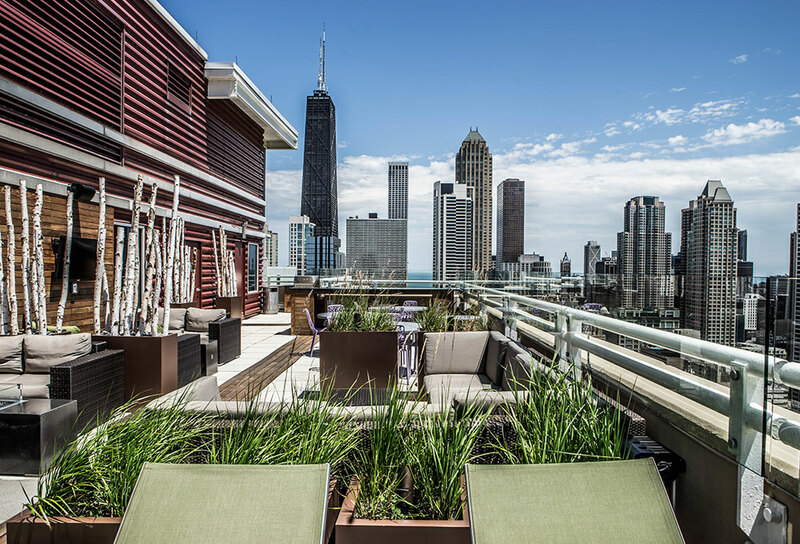 The space celebrates Chicago’s rich architectural history and breathtaking views through transparent railings and low-profile urban site elements. 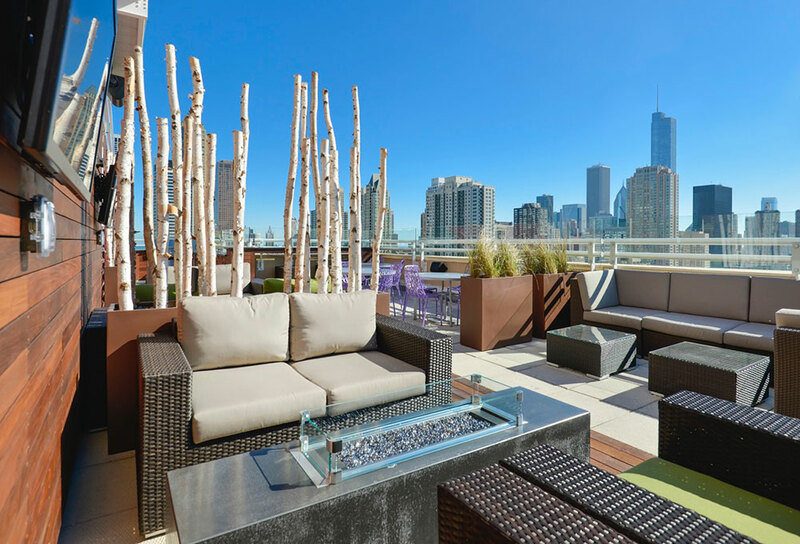 Custom fire-pit tables bring warmth to those chilly fall nights while outdoor televisions, a full-service outdoor kitchen, and heating elements guarantee an active space during any game day.